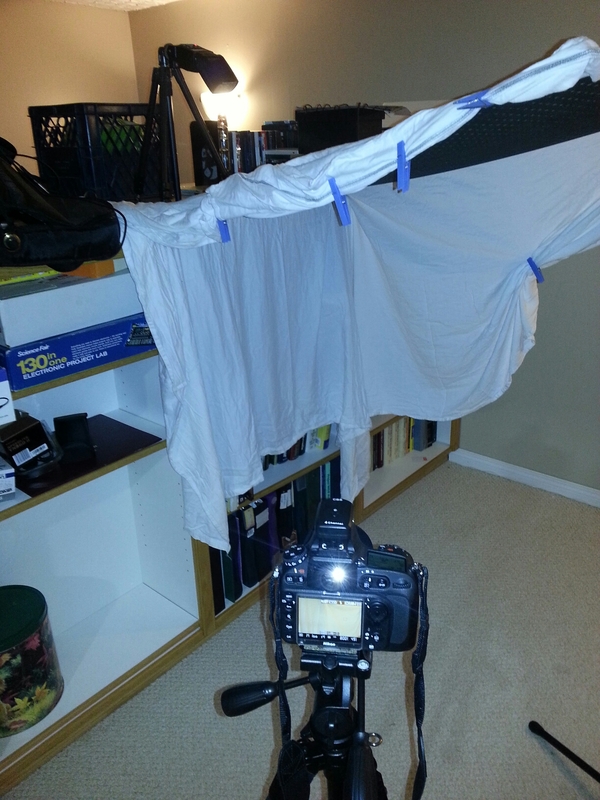 So here is the setup for my bubble picture. I will be putting down a basin to catch the sticky soapy bubbles. I’m not super happy with the back drop. I may try to black it out if I can as right now I feel the white may take away from the contrast. Either way the dof is so shallow at f4 that the background should be quite soft. The flash is up top gaving down through the light rig and it produces the speckled catch lights I was hoping for. Now it is just a matter of blowing bubbles as big as I can. A slightly different view. 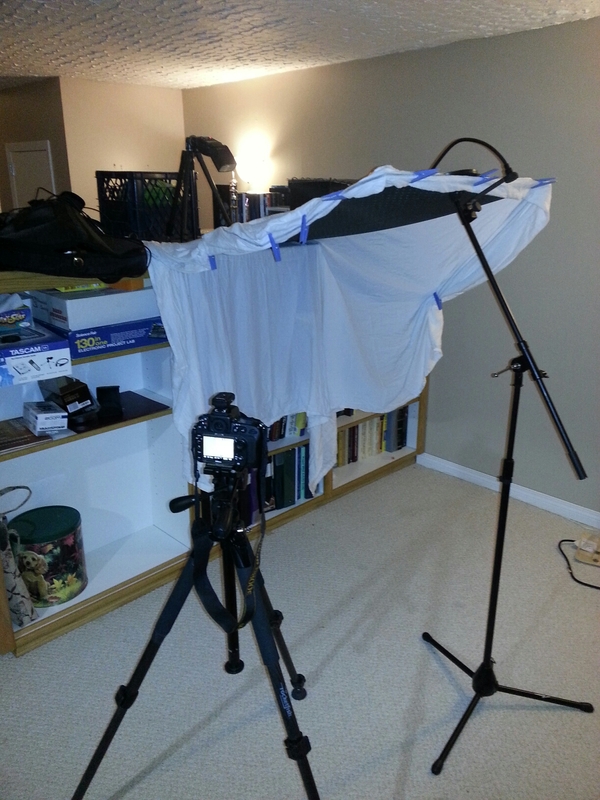 Keep in mind the only lightsource I plan to use is the speedlight up top. I will try to post some test images soon. 4.5 hours to go and I haven’t started post processing. Of course with this limited timeline I am hoping to do as little post work as possible. This entry was posted in 2014 Photo Project, setup and tagged bubble, photo, photography, picture, speedlight. Bookmark the permalink.